The Cleveland Transformation Alliance is now hiring for multiple community engagement part-time positions. 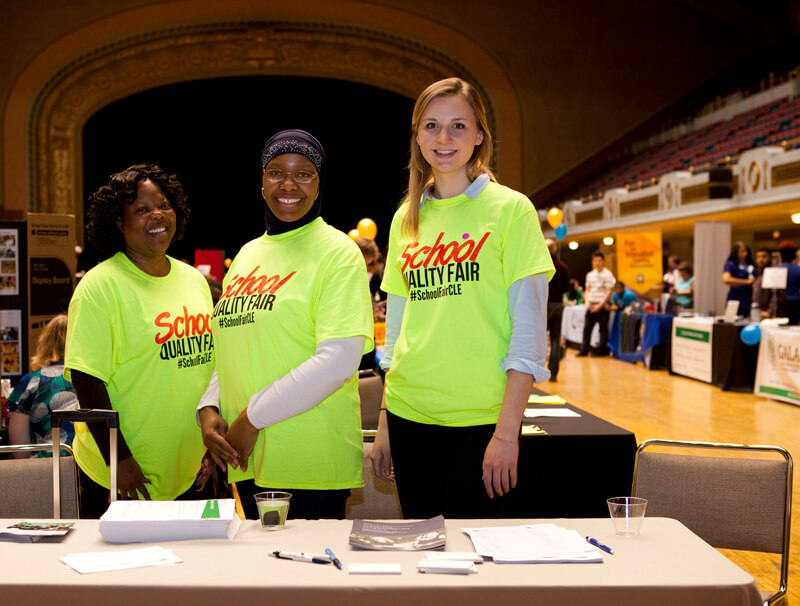 The Cleveland Transformation Alliance is seeking up to ten qualified individuals to serve as School Quality Ambassadors across Cleveland’s neighborhoods. As part of their work with the Alliance, Ambassadors will help support our neighborhood-based grassroots engagement strategy. The Cleveland Transformation Alliance is seeking two individuals to serve as School Quality Navigators in Cleveland’s Central neighborhood. The role of the Navigator is to support families and caregivers in finding and enrolling in the school that best fits their children’s needs. Both positions are part-time contracted positions, working between the Cleveland Transformation Alliance office (downtown) and neighborhood sites. Applications and supporting documentation can be submitted to Catherine Smith.